Hear any possible Mandarin sound in high quality! Includes anatomy drawings and pronunciation comparison. It provides the needed help to use your facial muscles in the Chinese way. 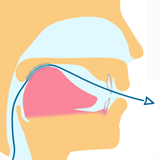 Feel your tongue, lips and palate vibrate while learning standard pronunciation of Mandarin. Useful drawings that you can relate to. Your tongue, lips, teeth and so on, are all well illustrated. You will graphically see how to place your foreign tongue in order to sound Chinese. 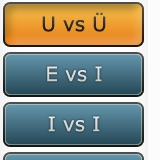 This feature will enhance your learning of Chinese pronunciation greatly. Microsoft Windows 98, ME, 2000, XP, Vista, Windows 7 and 8, as well as Mac OS X are supported by the Standard Mandarin software. Please download and test the trial version for free. You're good to go if it downloads and installs. 4 challenging drills are included in the software. Use these drills to train your recognition of the most difficult sounds, and your skill to recognize pinyin syllables. All feedback is much appreciated! Would you like to see some of the positive comments received about the Standard Mandarin Pinyin Chart since the first edition was launched back in 2005? It is immensely useful to fine tune my pronunciation! It has been most helpful for my studies! We appreciate all the hard work you put in very much as it really helps us. THANK YOU! IT'S WONDERFUL! NO, IT'S BEYOND WONDERFUL! ... With this tool of yours I'm sure I will make fast progress. I found this is a great program to learn Chinese. You did a very good job. Thanks a lot. Very excellent tool for learning the Chinese language. It is probably the most useful reference tool I have come across to date. This programme is a fantastic tool. This is a great help to those learning Chinese. We really appreciate your work in preparing this program. Thanks for your software. Very good work. Thank you so so much! I am not in a class so this is very very helpful thanks again! ... Thanks again.. Thank you so much, I did not even know something like this existed, I’m sure it will be a great help. It has helped my pronunciation a great deal - especially some of the more difficult sounds. Excellent pronunciation program! The best and clearest I've heard yet. All the pinyin syllables are listed in a chart. When you click a syllable the program will pronounce it for you. A text description about how to pronounce the selected pinyin will also be available. 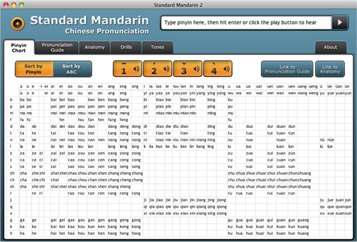 By imitating the sound with the pronunciation description in mind, you will soon master Mandarin Chinese. Description for each pinyin syllable, helping you learn how to use your facial muscles.